Capturing your heart forever, the magnificent 1.51tcw My Girl designer diamond engagement ring shown features a tube set 0.73ct My Girl diamond in the center surrounded with micro-pavé set round diamonds weighing 0.78ct in total in 18K white gold. 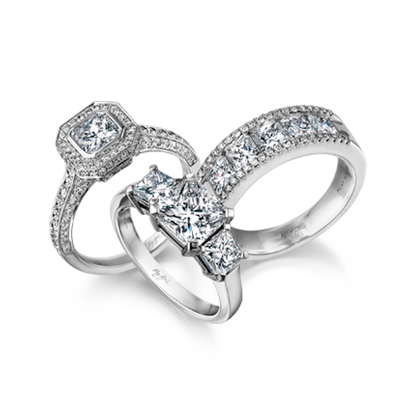 This exquisite design can be crafted to order with a hand-selected My Girl diamond based on your specifications. The design of the My Girl diamond cut requires a skilful eye and expertise that combines optic light behaviour, mathematics, and the careful analysis of the diamond in its rough form. Most diamonds reflect light from the top only, and what makes the My Girl cut unique is that it reflects light from all angles, including its sides, and in doing so, creates a mesmerising dance of light with every move. 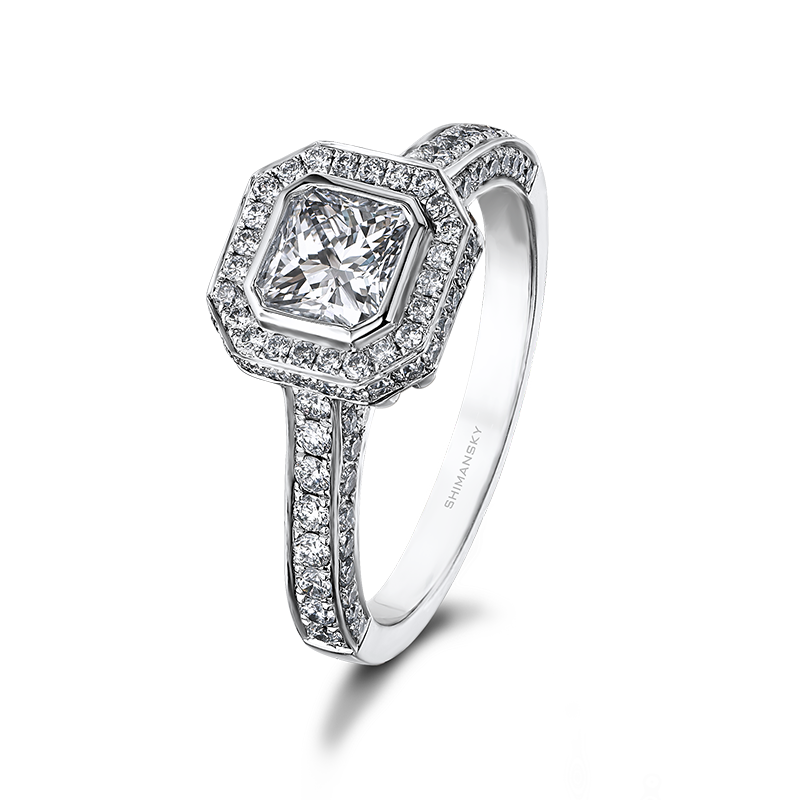 This exceptional design features the My Girl diamond in the centre of the ring, with pavé-set round diamonds, and is one of Shimansky's exclusive designs. A detail-lover's dream, this ring is the perfect jewellery creation for someone who appreciates unique design work. Celebrate the unforgettable moment of your engagement with an engagement ring that embodies your special memory, and features a unique design that maximises the beauty of the magnificent My Girl diamond cut.